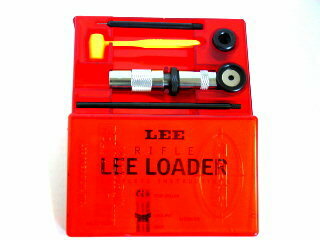 Lee Loader is a complete reloading system, kit includes everything needed to reload 308 Win. except a rubber mallet, that is not included. Please note: the Classic Lee Loader neck sizes only. This is not recommended for semi, pump and lever action guns. LEE PACESETTER 2 DIE SET CAL. CARAB. The same features and quality of our standard PaceSetter dies, but some calibers do not include a Lee Factory Crimp Die. You'll find no better die at any price. Half the price of competitive dies and theirs doesn't include load data which is priceless on odd or obsolete calibers. 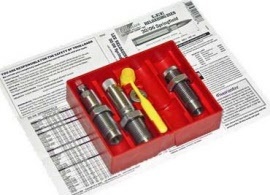 Our dies also include the correct shell holder and powder measure. Includes: Shellholder, Powder Dipper, and Load Data. 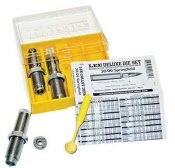 The Bullet Seating/Crimp die can be adjusted to either a roll or taper crimp. LEE PACESETTER 2 DIE SET CAL CARAB.PART. 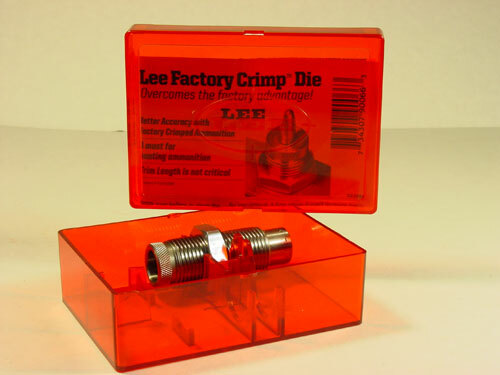 Lee PaceSetter Dies include the exclusive Lee Factory Crimp Die to produce factory-like ammunition with improved utility and accuracy. The die set also includes a conventional bullet seater. They also include a shell holder, powder dipper, load data and are packed in the nicest storage box ever designed. 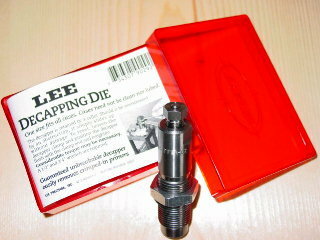 All Lee dies are machine honed to the smoothest possible finish. Don't confuse this with the surface polish used by most manufacturers. A polish simply makes a shiny surface. It's like trying to sand wood without backing under the sandpaper. The surface in Lee dies is progressively honed to a fine finish with no waves or ripples. 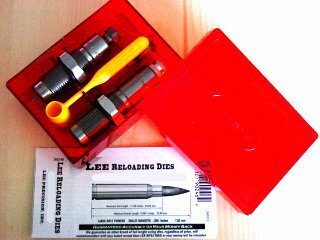 There is no loading system that will load more accurate ammunition than Lee Collet Dies. No one but Lee has ever dared make a guarantee like this -- Smallest group size or your money back. A collet squeezes the case neck against a precision mandrel for a perfect fit with minimum run-out. No lube case is needed. Cases last ten times longer, so the savings on only 35 cases will pay for the dies. Maximum accuracy is usually achieved by seating the bullet out far enough to touch or almost touch the rifling. 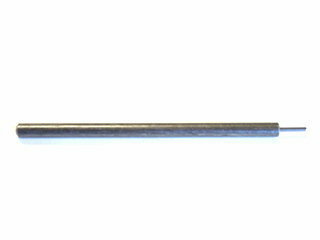 This provides the shot start pressure normally supplied by the crimp. That's why a dead length bullet seater is included to complete the most accurate reloading system ever made. These dies size only the neck to preserve the perfect fit of fire forming. Only reload cases that have been fired in your gun. Not recommended for autoloaders, slide or lever action guns. 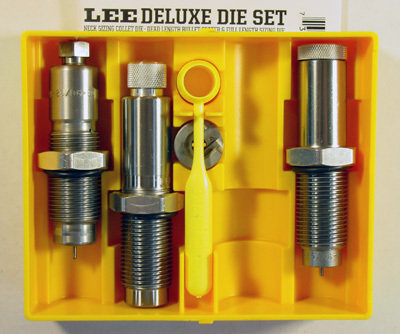 LEE DELUXE RIFLE DIE SETS CAL. X CARAB. The Lee Deluxe Die Set is the most flexible and accurate die set available. The Lee Collet neck sizing die is enhanced by the addition of the patented Lee full length resizing die, which allows us to produce ammunition to factory-new specifications using cases fired in other guns. Your precision fire-formed brass can be used to reload the most accurate ammunition for your gun using the Lee Collet neck sizing die. No other die can produce more accurate ammunition. We are so confident, we guarantee it. Full length resizing die must be lubricated.